There are various applications available that can be used to create, delete or resize partitions on the internet. The best softwares available on the internet are Easeus Partition Manager and Paragon Partition Manager. You can download Easeus Partition Master Home Edition from partition-tool.com or Paragon Partition Manager from paragon-software.com. Both are free and allow you to create, delete or resize partitions without the need to format the entire drive. Please make sure that you backup all your data before you partition your drive. Choose the option to resize the existing parition in both the applications and run the wizard to make the process simple. You will be required to enter the size of the new partition to be created so make sure to enter the exact size of the new partition. Although the application offers the option to make multiple partitions at one go, we would recommend that you create only one partition at a time to avoid any issues. Once the partition process has started, it should not be interrupted by a power failure or reboot - this may cause the hard disk to crash and become unusable. Sometimes your computer may stop responding , so you should wait until the partition process finished. 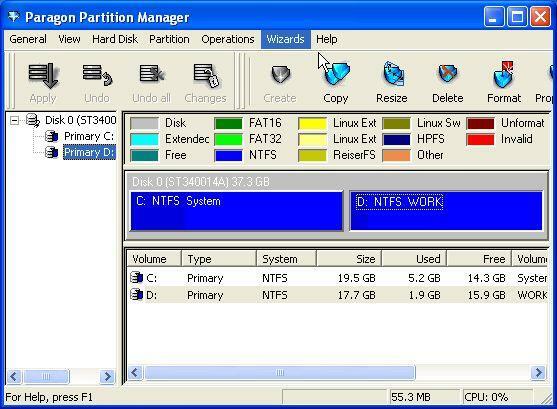 It is best and most easy way to create partition on your computer, You can download Easeus Partition Manager from here and Paragon Partition Manager from here, try it and leave your feedback below.